The beautiful graduation ceremony began with Mass in the cafeteria. Following Mass, diplomas were awarded to each student by Dr. Margaret Richardson, Head of School; Fr. Timothy Lyons, Chaplain; and members of the Board of Directors. Each graduate was honored by a faculty member who knows them well. The faculty member highlighted a strength in the student and spoke of how they exemplify that strength in and out of school. A framed memento was given to each graduate. A beautiful reception followed with lots of celebrating for the Class of 2015! 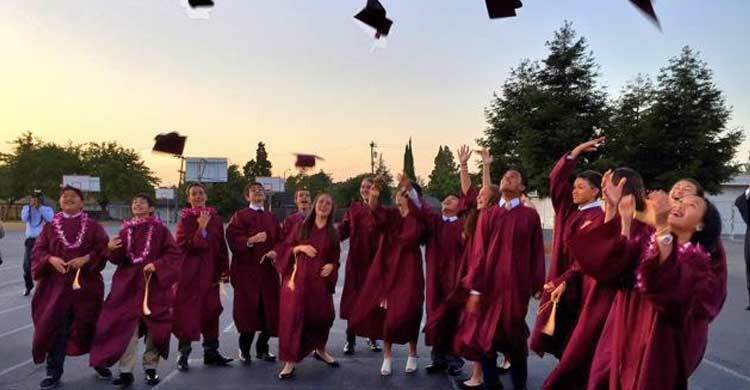 Each of the 16 students now attend the high school of their choice including all 5 private Catholic high schools: St. Francis, Bellarmine, Presentation, Notre Dame and Archbishop Mitty.